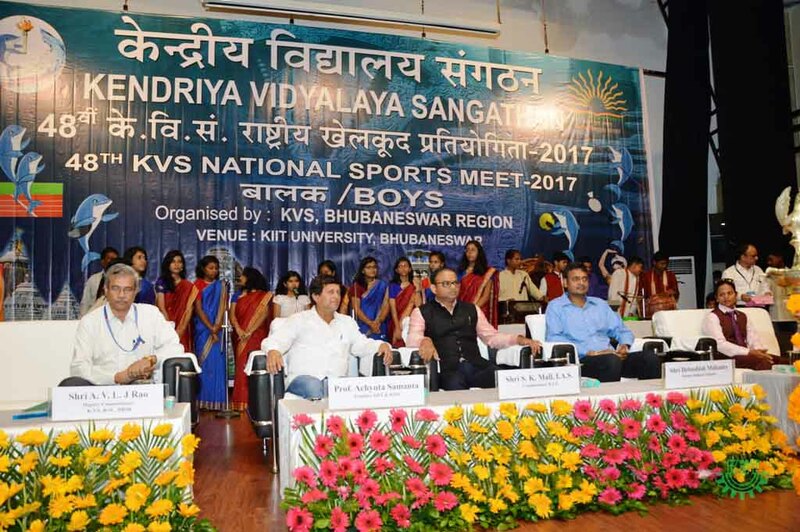 The 48th KVS National Sports Meet-2017 was opened by Sri Santosh Kumar Mall, I.A.S., Commissioner, KVS, with a style amidst a galaxy of luminaries of different fields at KIIT Auditorium,Campus-6 on 21st October, 2017. 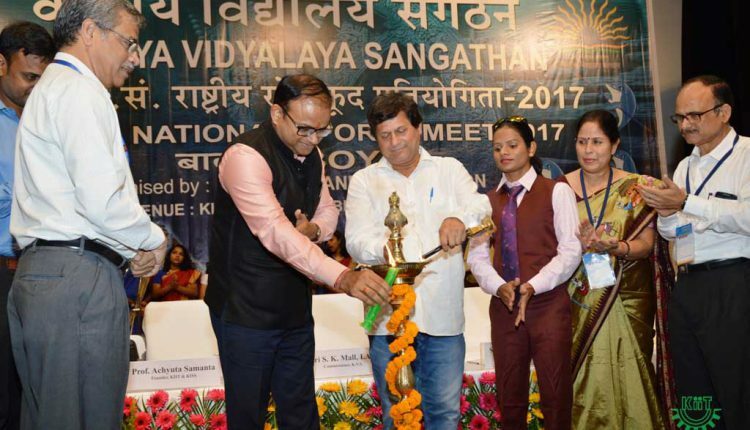 Addressing the august gathering on the occasion of the inaugural ceremony also as the Chief Guest, Sri Mall said that, the word ‘Discipline’ has been the key to all the aspects of life those really matter. 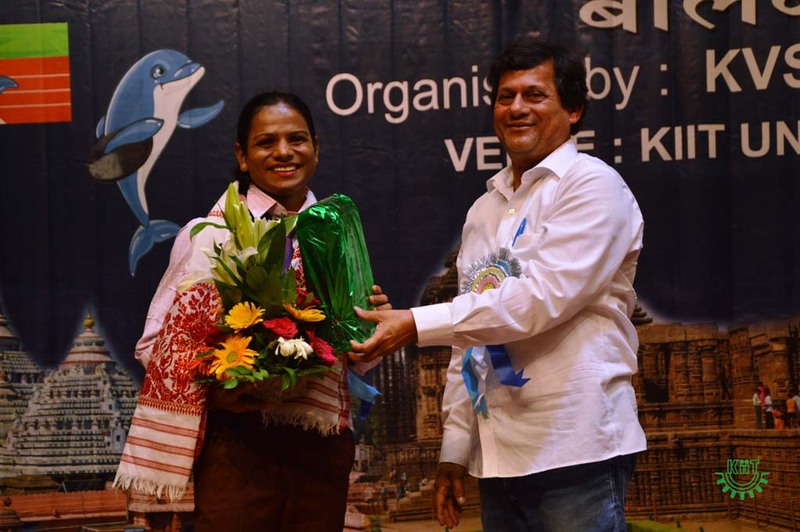 Discipline also plays a very crucial role to those who often wish to be good to others. 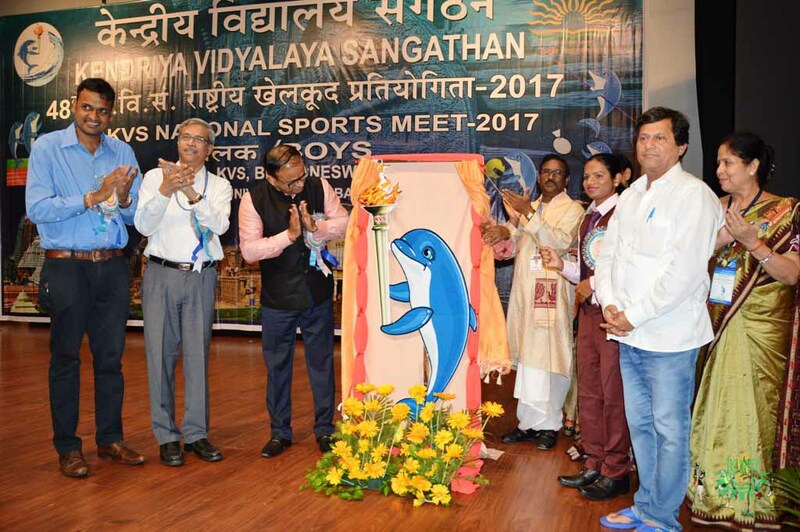 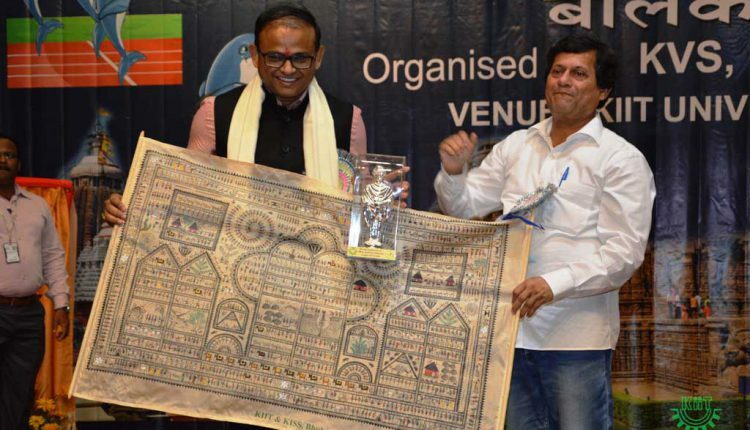 He later opened the function with unveiling of the Logo of the Sports Meet in form a Dolphin like Doll namely Dolly based on the concept “Beti Bachao, Beti Padhao” . 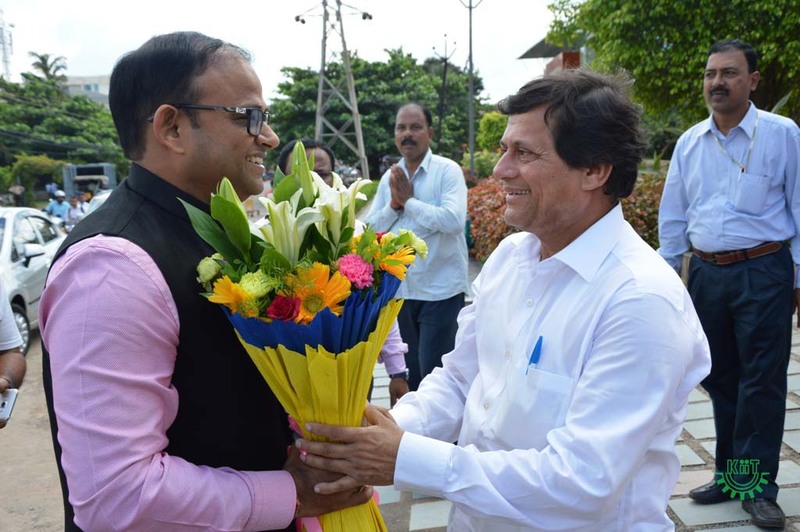 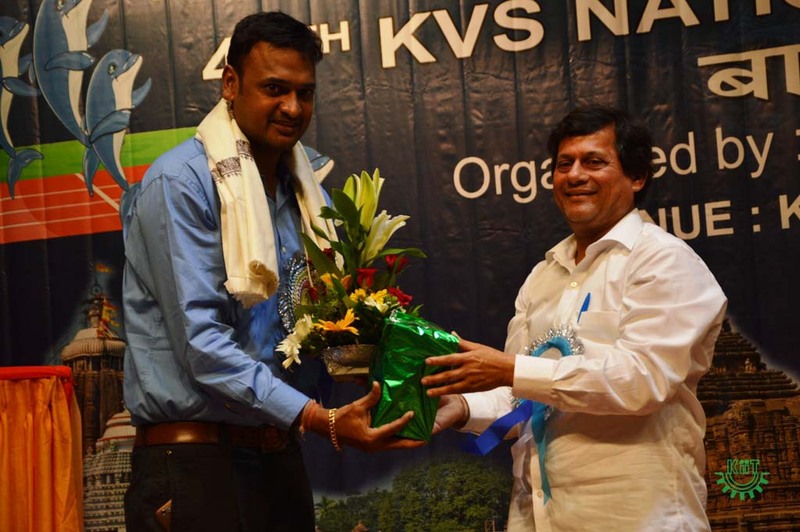 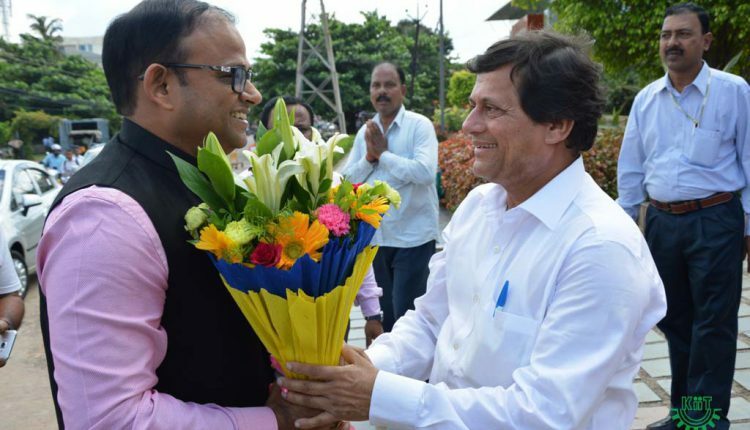 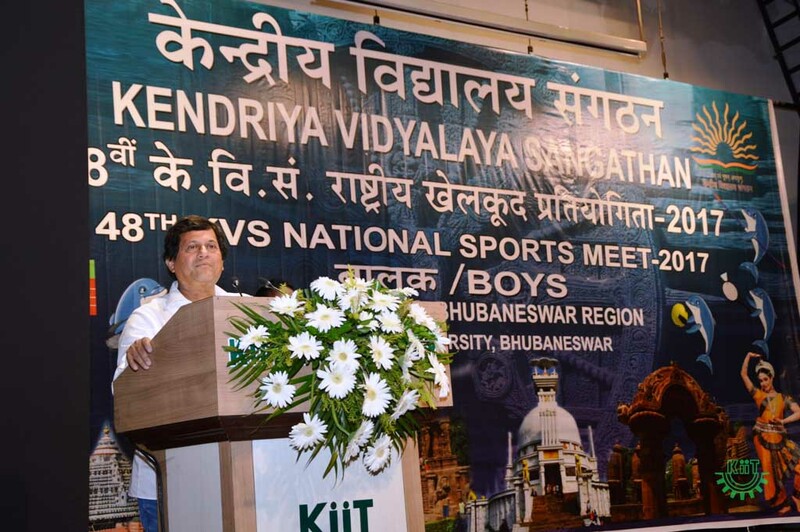 Gracing the occasion as the Honorary Guest Prof. Achyuta Samanta, Founder, KIIT &KISS advised the students “try your best to be good, because to be a good human being, no investment is required. 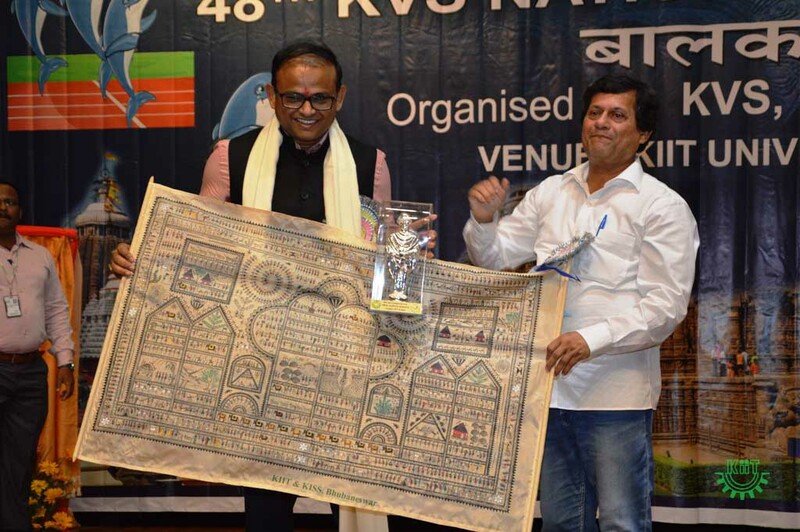 If you will be good to yourself, then you will also be good to others”. 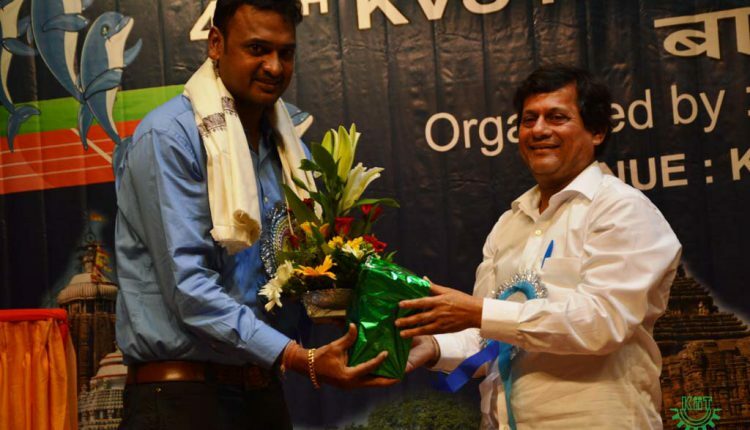 Gracing the occasion, former Indian Cricketer Sri Debasis Mohanty appreciated the ambiance of KIIT and KISS and said, this the best place to showcase your talent. 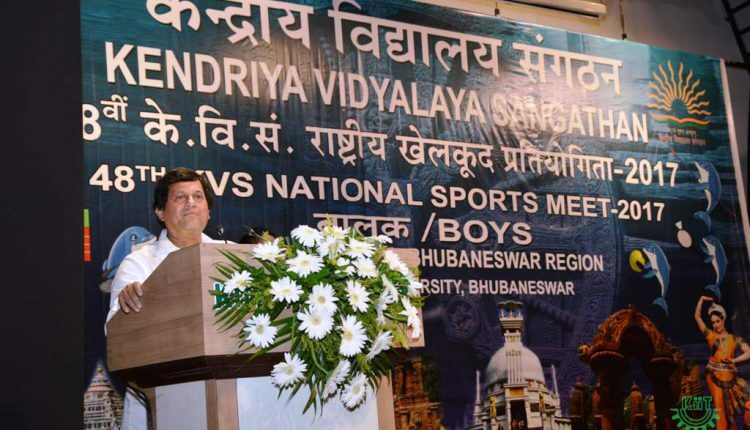 In order to succeed in sports one should adhere to dedication, determination and discipline. 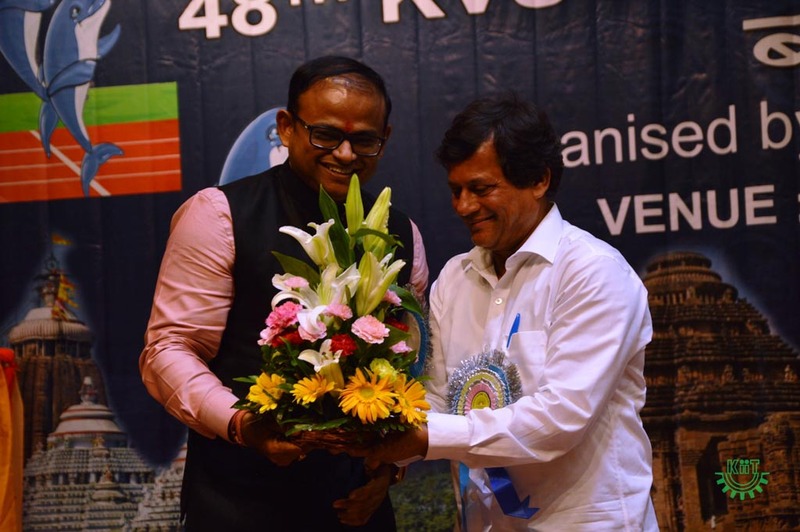 He urged the students, “if you have these three things, then I assure, you will definitely achieve what you want to achieve”. 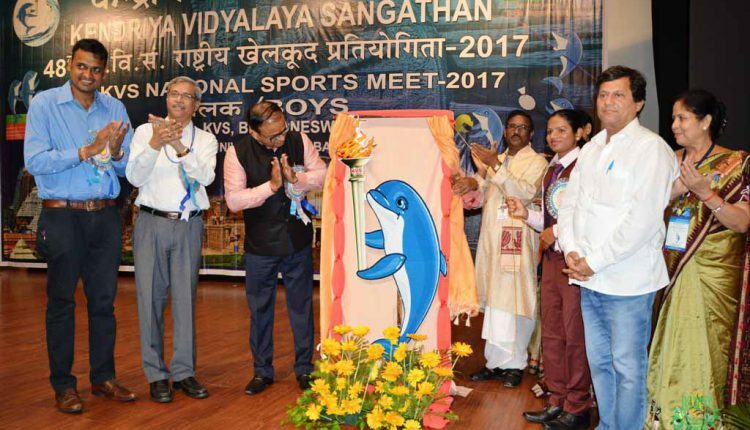 Gracing the occasion, eminent athlete Ms. Duttee Chand said, to elevate yourself into the next level, consistent endeavor with a strong resolution is inevitable. 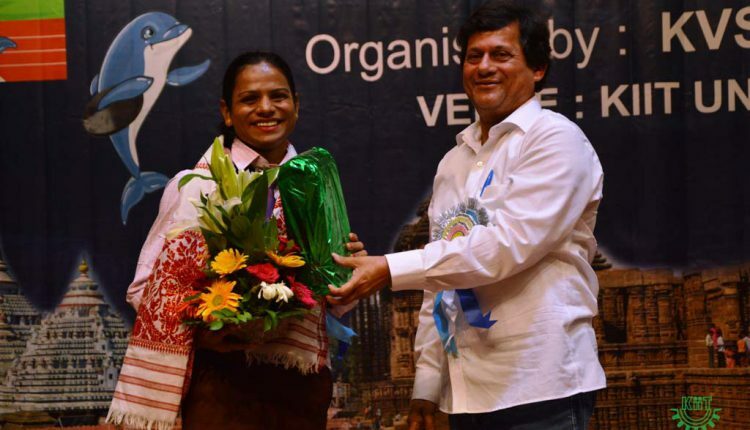 Recalling her own pain-stricken journey, she said nobody never bothers your plight, struggle and hardship you face on the journey to be a successful sportsperson, but they don’t miss a chance to criticize on your failure at any point of time. 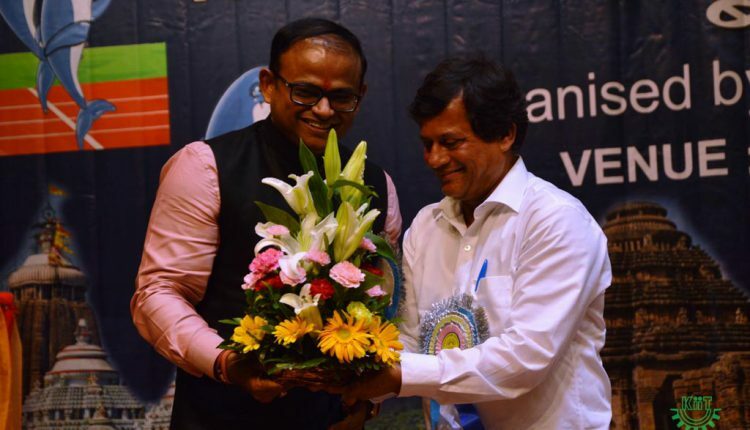 On this occasion, attributing all of her success to Prof. Achyuta Samanta, Ms. Chand said, without the earnest support and inspiration from Prof. Samanta, she would not have achieved the incredible feats, for what she is known today. 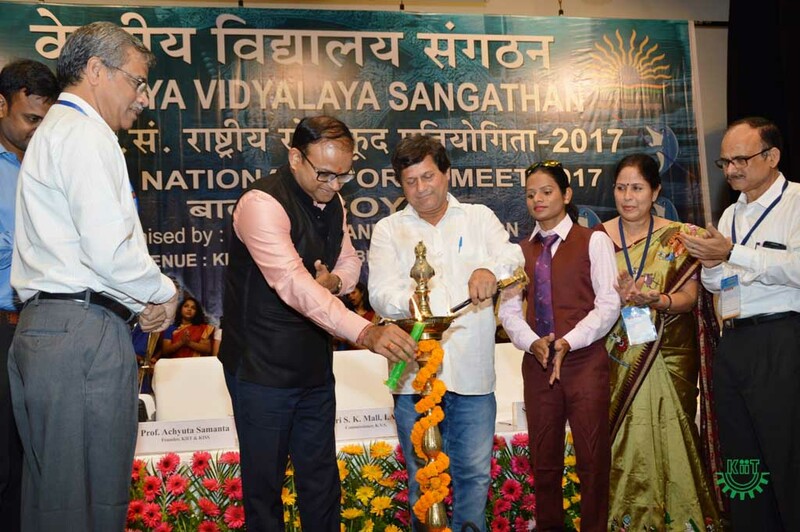 At the outset, Sri A. V.L Jagannath Rao, Deputy Commissioner, KVS, Bhubaneswar region introduced the guests very superbly. 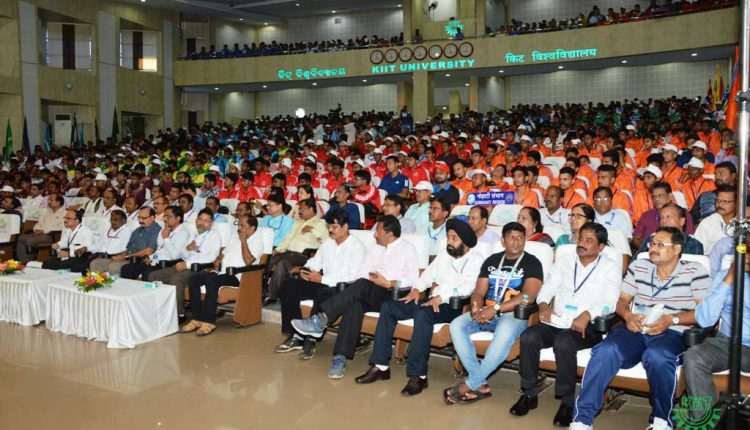 A total of 3,000 students from across 25 regions of the country are being assembled during the event. 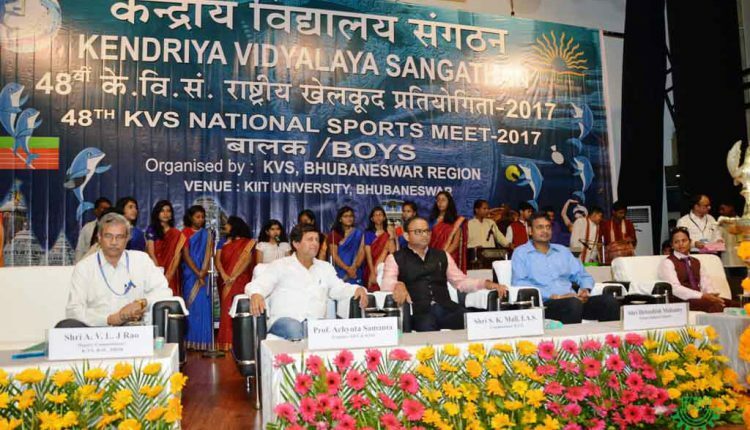 In fact, KIIT University has been entrusted by the Kendriya Vidyalaya Sangathan (KVS) to conduct the 48th KVS National Sports Meet 2017-18 of different games in three phases from 21st October to 11th November. 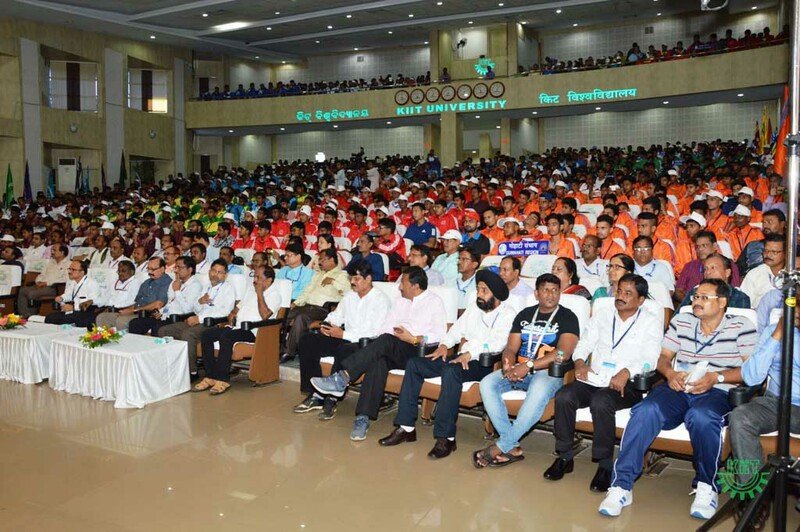 In the first phase, athletics, chess, badminton, volleyball would be held from 21st to 24th October and in second phase judo, kho-kho, football, archery would be held from 27th to 30th October and in the third phase cricket would be held from 7th to 11th November.